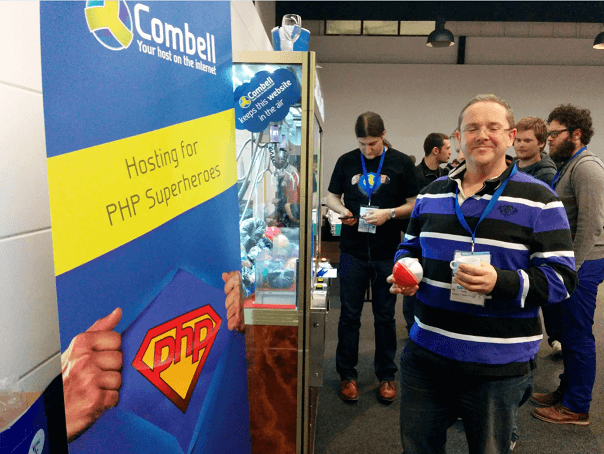 The PHPBenelux community organises its traditional annual conference in January and this year as well, no less than 450 people came to Antwerp. 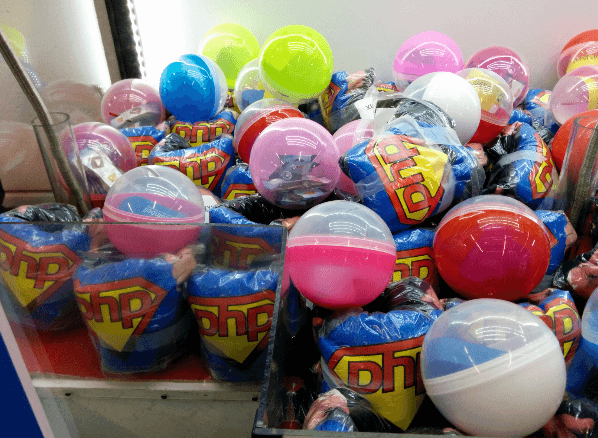 This is the fifth edition of the PHPBenelux Conference, so this of course called for a real celebration. 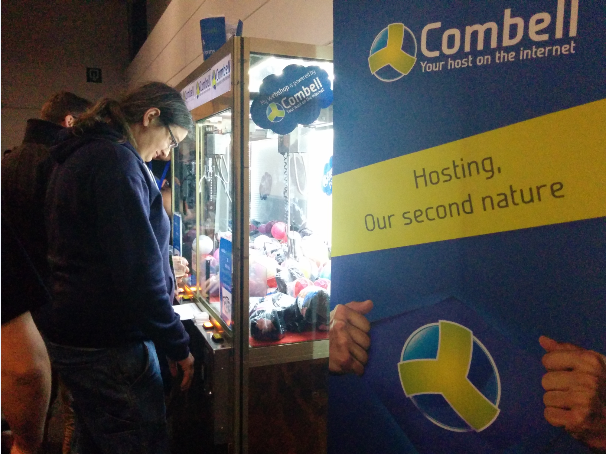 PHPBenelux is no stranger to us either: Combell has been sponsoring this community for more than five years and Thijs Feryn, our evangelist, has been a member of the board of this community since the very beginning. Every year, we see the event grow, in terms of both attendance and influence. Hotel Ter Elst, the conference centre where this event has been taking place for many years, was immediately sold-out with all those participants. Owing to its excellent reputation, which has been built over the years, the conference indeed attracts a large international audience with visitors hailing from over 15 countries. 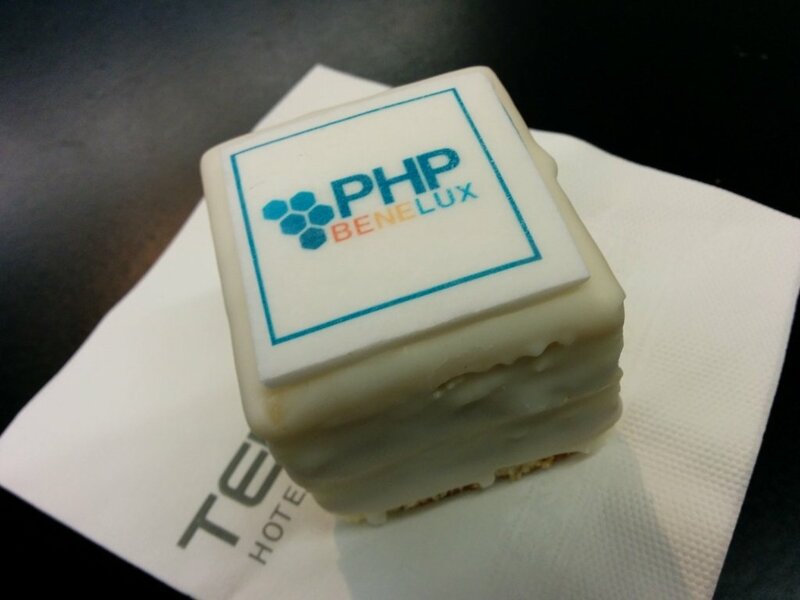 The PHPBenelux conference is famous for the exceptional content of its programme. The organisers find this easy to achieve, because they take part in many conferences, which allows them to scout good talks. In their quality of prominent members of the international community, they also know most speakers personally. Thanks to the generosity of sponsors and the fact that an affordable location outside of the city centre is available, the ticket price is relatively low. This keeps the event’s threshold low and therefore fits into the community mentality that is so important to PHPBenelux. The fact that Ter Elst is somewhat remote also makes sure that everybody stays together in the evening, which promotes a group feeling. In the evening, socials are organised with enough food, drinks and entertainment to keep everyone busy until the wee hours. The fifth anniversary had to be special and it was. All the speakers were offered a dinner in the Atomium on the day before the event. This was quite the impressive treat, especially for the foreign speakers. The exhibition hall was moved to the other end of the site, which tripled the capacity. This means that there were a great deal more stands and that every sponsor stand featured an attraction. All the sponsors worked according to a carnival theme that the organisers had imagined. 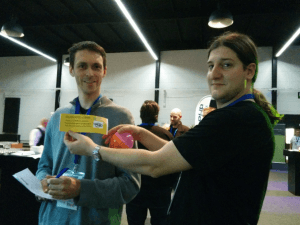 Our customer Intracto was present with coin pushers, where the players could win a 3D printer. Combell had a claw crane with personalised t-shirts sporting a Superman logo that would transform the winners into PHP superheroes. 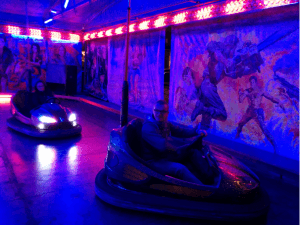 There were also arcade consoles, pinball machines, Xbox consoles, a mechanical bull and an air hockey table. There was even a live radio transmission of the Dutch Web Alliance! 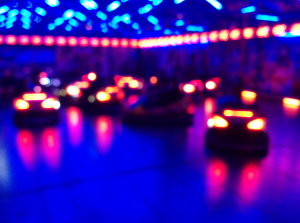 The cherry on the cake were the bumper cars the organisers had provided. This eye catcher was of course much appreciated by the visitors and resulted in a lot of fun – and some bruises. But a few traditional concepts were nevertheless sustained: French fries on Friday and a barbecue on Saturday night. There was also an open bar that was enjoyed till the wee hours of the morning. Combell supports communities and believes that sponsoring such events is a valuable investment. Therefore, we couldn’t miss this festive edition. In tune with the carnival theme, we were there with an original stand “manned” by our colleagues Stijn and Romy. On top of that, we also had a group of developers and sysadmins who took part in the sessions as visitors. 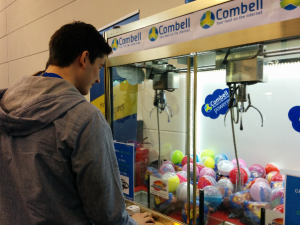 Our stand featured a crane game where you could win fine prizes. 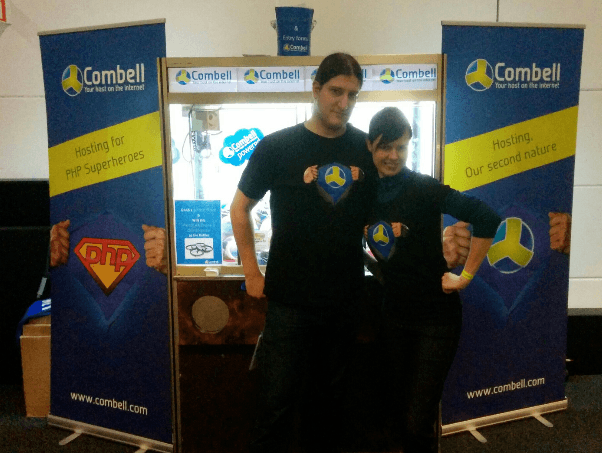 We had vouchers for free hosting, t-shirts, ‘Combell Cloud’ stress balls and a few golden tickets. With these tickets, you could win the grand prize – a much-coveted Parrot AR. Drone! The winner of this first prize was Jelrik van Hal. Congratulations Jelrik, we hope that you will have a lot of fun with it! Send us some cool videos of test flights; our colleagues will certainly watch them with great interest! The fifth edition was a huge success: a large crowd, a good atmosphere, great talks and a few specials that had never been shown before at a developers’ conference. Thank you PHPBenelux, see you again next year! Did you run into a “spam trap” before?